Allenspark bed and breakfast travel guide for romantic, historic and adventure b&b's. 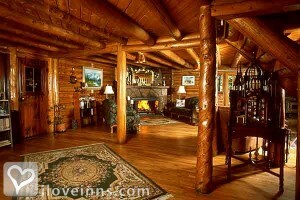 Browse through the iLoveInns.com database of Allenspark, Colorado bed and breakfasts and country inns to find detailed listings that include room rates, special deals and area activities. You can click on the 'check rates and availability' button to contact the innkeeper. Allenspark, Colorado is close to Rocky Mountain National Park and serves as an access point to the Rocky Mountains. Allenspark bed and breakfast inns cater to guests who do not only wish to see the nearby attraction but who also want to travel to the Rocky Mountains. Among the natural scenic wonders that wait in the Rockies are Beaver Meadows, Trail Ridge Road, Horseshoe Park, Moraine Park, Old Fall River Road, Colorado River, Kawuneechee Valley, Grand Lake, Lily Lake, Longs Peak, and Wild Basin. From Allenspark, visitors may also drive all the way to Twin Owls. In nearby Estes Park, the favorite activities include trail riding, rafting, biking, boating, and fishing. Sombrero Ranch and Eagle's Plum are two other top attractions in Allenspark. The town has a good number of restaurants including Claire's on the Park, Cascades Restaurant, and Grubsteak Restaurant. By Allenspark Lodge.